PUBG Mobile could soon get Plus and Prime Plus subscription plans, under which users get free UC, ID card and more. There is said to be a Prime and Prime Plus subscription plan. Users would receive UC and option to convert BP to UC. PUBG Mobile has grown by leaps and bounds in a span of one year and now has over 30 million daily active players. The game’s developers have been implementing new changes and bringing new features to the game for keeping players interested, and now could implement subscription-based plans as well. 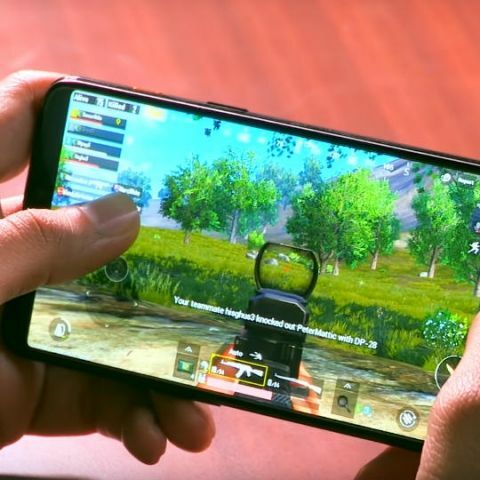 The company is reportedly testing PUBG Mobile Prime and Prime Plus subscription that will enable users to convert Battle Points (BP) to Unknown Cash (UC), which can be used to purchase in-game cosmetic items. As per a video posted by Mr.Ghost Gaming, with Allthenewsisgoodnews, on YouTube, the new feature is currently being introduced in the KRJP server. The Prime subscription is priced at $0.99 (Rs 71 approx) per month while the Prime Plus subscription would cost $9.99 per month (Rs 710 approx). There are some exclusive rewards that the players are said to receive when they buy a subscription plan. They will reportedly receive some amount of UC (around 150UC) and there will also be some daily login rewards as well that are said to include UC, ID card and more. There would also be a feature that will enable users to convert BP to UC. However, it is said to be limited to some unknown amount. 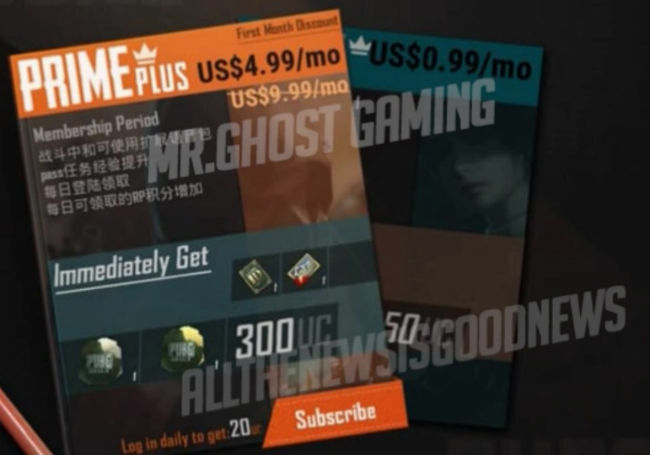 Moving on to the Prime Plus subscription, it is said to be offered at an introductory price of $4.99 (Rs 355 approx) for the first month and one would instantly get 300 UC, along with a 20 UC daily login bonus, ID card and a crate coupon. As mentioned above, the new subscription plans are reportedly being introduced on the KRJP server but in a “different way”. There’s no information on when the plans might be rolled out in the game’s global version.